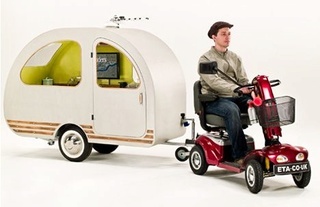 It's designed by British company Environmental Transport Association with the elderly in mind, especially those that use a mobility scooter, so its towing speed is less than impressive. But it's supposed to be easily maneuverable in tight spaces like sidewalks and supermarkets -- and strangely enough, also includes a small flatscreen TV (which makes us wonder how theft-secure this little pod is). It can go around 30 miles on one charge with the mobility scooter. No word on exactly what materials -- green or not -- are used, but the ETA says it can be considered carbon neutral if you charge it with power from a green provider. 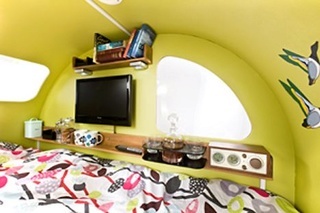 The diminutive caravan stands at just 2m x 75cm (79 x 30 inches) and comes with a tea making facilities, a drinks cabinet, a bed, alarm clock and there's even a 19" flat screen TV mounted on the far-side wall. There's 240v hook up and battery powered back-up lighting, but you won't be breaking any landspeed records, as the top outfit speed is just 5mph. 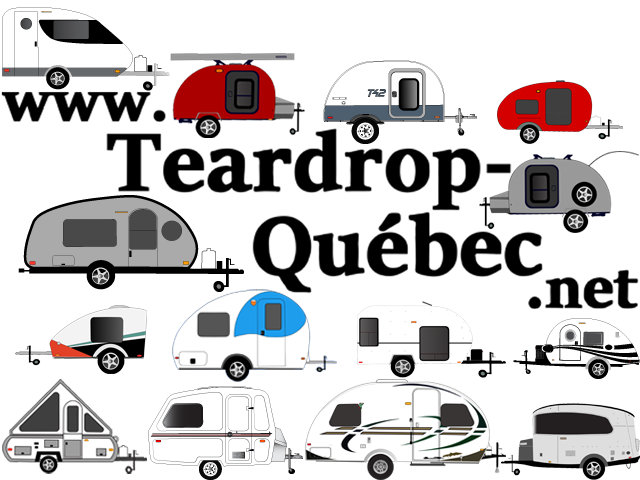 And the inspiration behind the name for such a 'cutie' camper? The QTvan is so named because it caters to three peculiarly British obsessions: queuing, tea and caravans. It's a bit pricey at £5,500 (US $9,145) and that's without the add-on options like solar panels, central heating and satellite dish, air horn, external luggage rack and gaming console. It's not nearly as cheap as building your own -- like this experimental microhouse that cost £1000 (US $1,672) to build -- but we appreciate the concept of such a mobile little camper like this. Now only if they'll make a version that could be pulled along by something faster (and preferably electric -- or maybe a bicycle).